June is National Candy Month and you know what that means… Twix, Starburst, Sour Patch Kids galore! Well before you reach into your candy drawer (we know you have one) and grab something, take a moment to think about what that fun (or full) size candy bar has on your teeth. 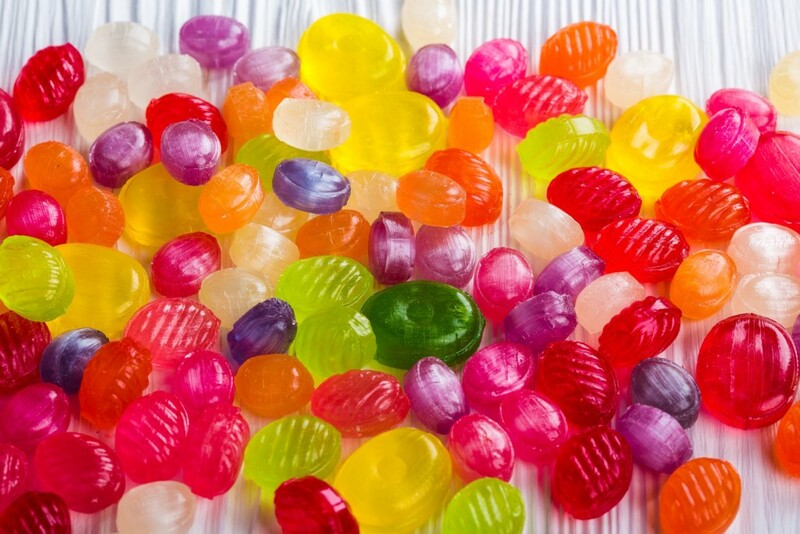 Candy is full of sugar — dextrose, glucose, sucrose, you name it. These sugars are the prime suspect in producing cavity-causing agent bacteria. The ringleader of them all coming from the genus Steptococcus, is Streptococcus mutans. This bacterium will adhere onto your tooth’s enamel and produce acid that will decay the tooth. High frequency of candy consumption and/or prolonged periods of your teeth left unclean will lead to some level of decay. Simple. Our office has a sweet tooth (and candy drawer) as well but we’re also strong in our oral hygiene game. Brushing and flossing daily will not only clean your teeth, but will keep the bacteria at bay. Come in for regular checkups so your Shoreline dentist, Dr. Co, and his hygienist, Becca, can ensure that your teeth are as healthy as they can be! If you must devour that candy bar or lollipop, everything is good in moderation. There are also sugar free options which not only eliminate the sugar intake, but provide xylitol as well. Xylitol has been shown to reduce the growth of cavity-causing bacteria, intercept the acid causing decay, and encourage saliva production which will help neutralize your saliva’s pH to creating a more optimum mouth environment for your teeth. Remember to rinse with water immediately and brush 30 minutes after consumption! We here at Shoreline Dental care about all your dental needs. make sure your teeth are happy and healthy by giving us a call us at 206.440.0065 to schedule your next dental cleaning!